Because everyday is World Jollof Rice Day. 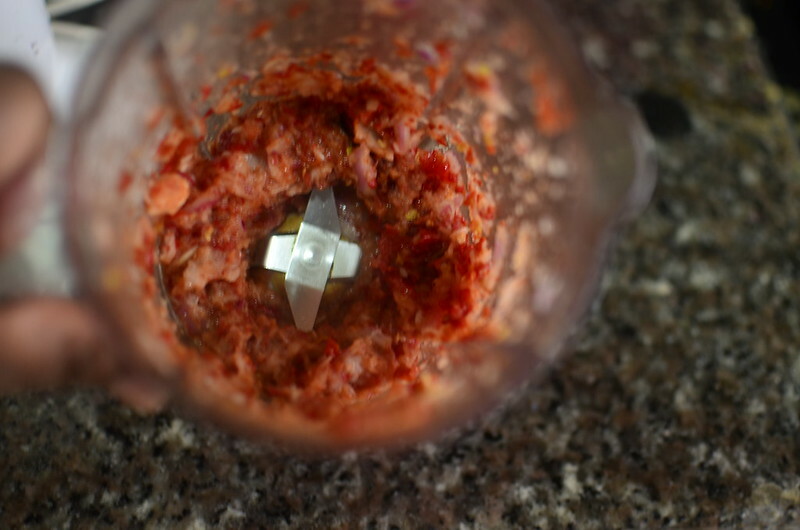 And so I present you one of two recipes – Asun Jollof- I concocted during the run-up to August 22nd – the other? A smoky prawn version. 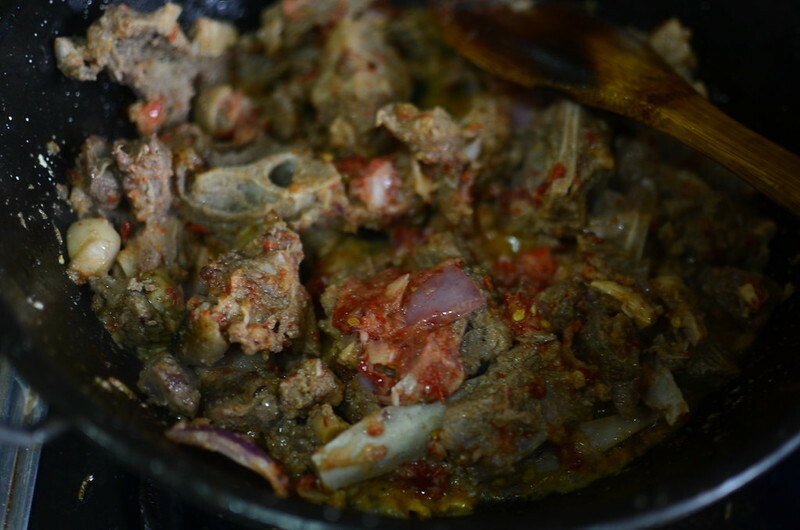 Get goat meat and season it with salt, ground onions and chilies. 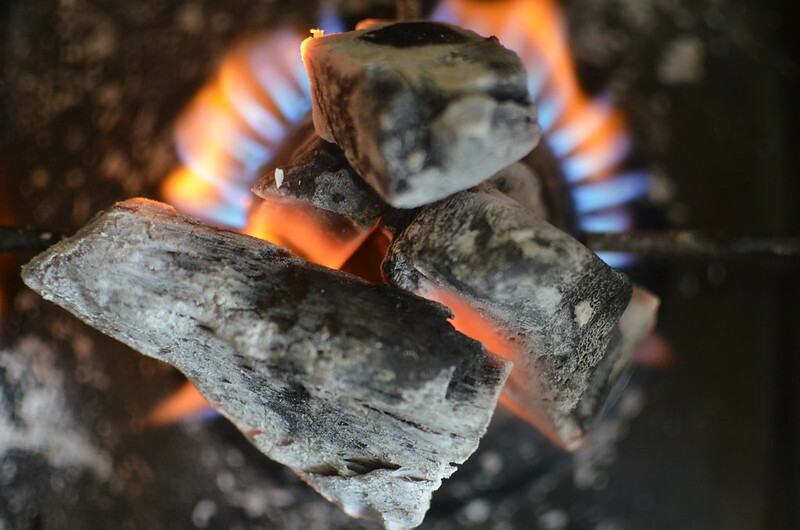 Coal-smoke for the most intense, smoky flavour. 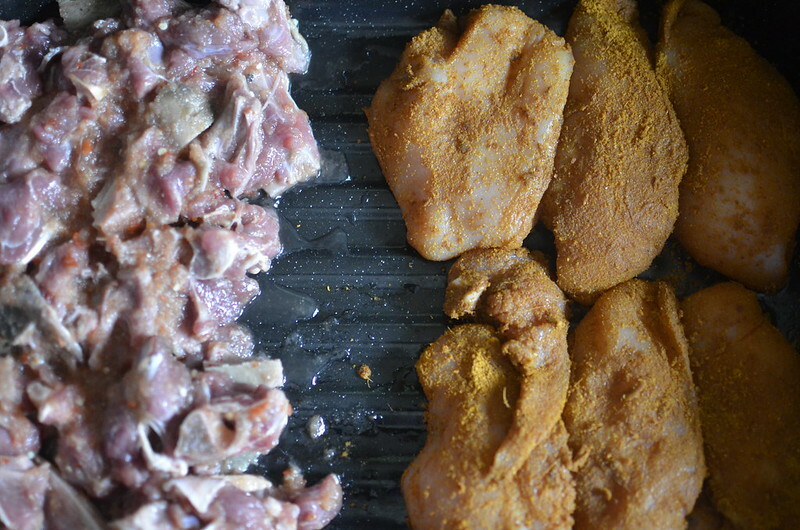 Cook meat in water, with seasoning – don’t worry, the smoky flavour will not go away. Promise. Cook. 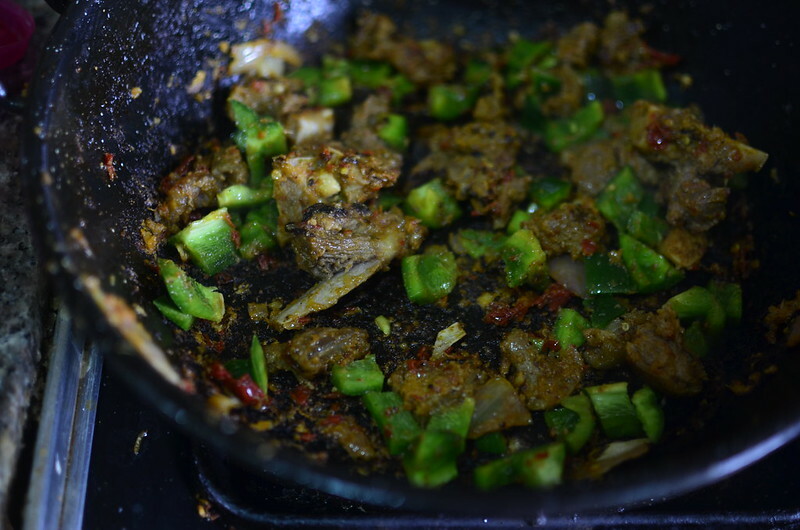 Pan fry cooked goat meat in blended pepper paste. Add bell peppers and saute with meat. Add tomato sauce, rice and cook. 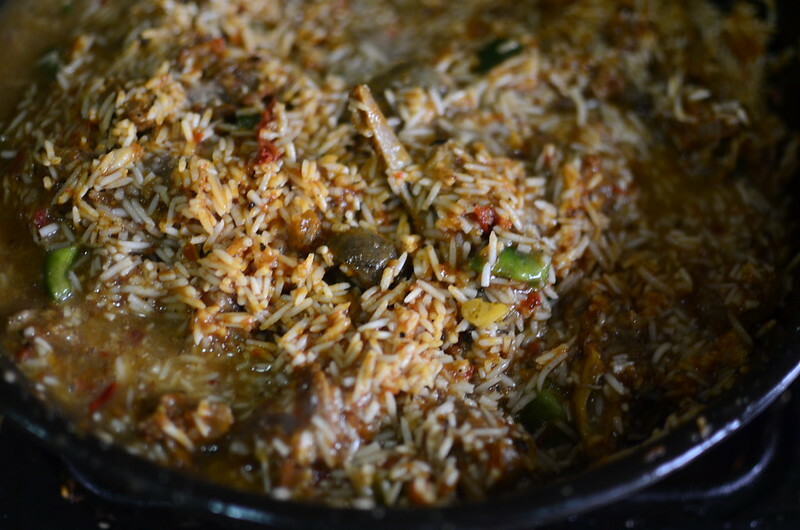 Check for seasoning, adjust and cover with foil – rice should be ‘steaming’ on low heat. 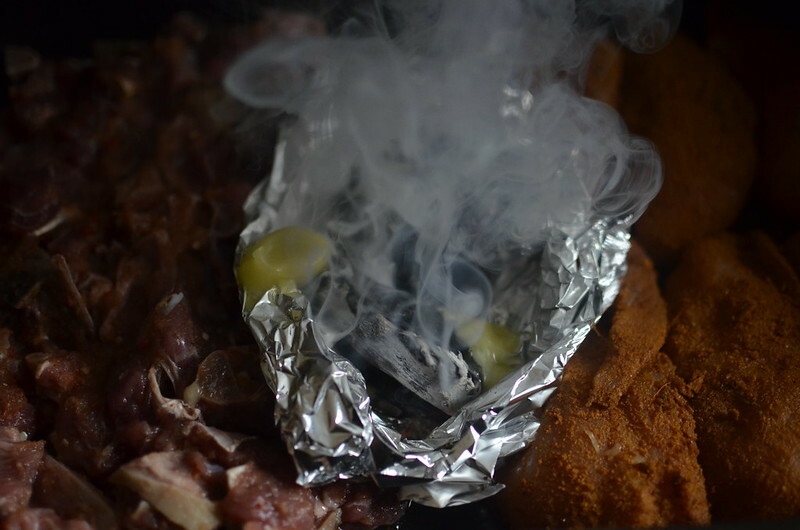 When cooked, turn up heat to ‘burn’ a bit for superb, smoky flavour. And if you’re sensible, more sensible than I, take a photo of the finished dish. 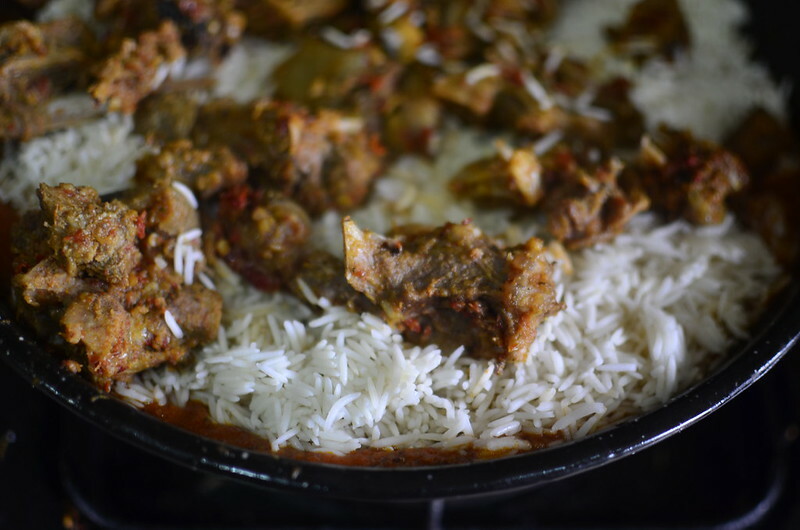 Nice and smoky – well balanced flavours, perfectly cooked rice and all together delicious. 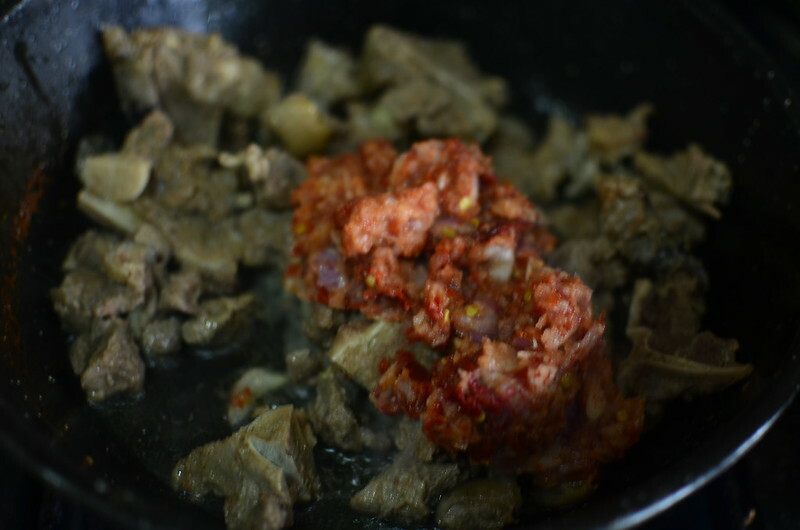 But, one lost the intense pepperiness that should have accompanied each piece of asun meat – which is understandable as everything was mixed together. Next time, I’ll make some extra peppered goat to serve on the side. Still fantastic. With dodo 🙂 or any of the other sides. To drink? We got you covered.